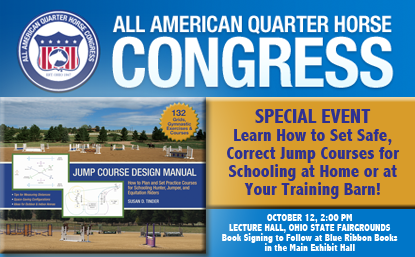 TSB author Susan Tinder will present a class based on her bestselling book JUMP COURSE DESIGN MANUAL at the 2013 All American Quarter Horse Congress. 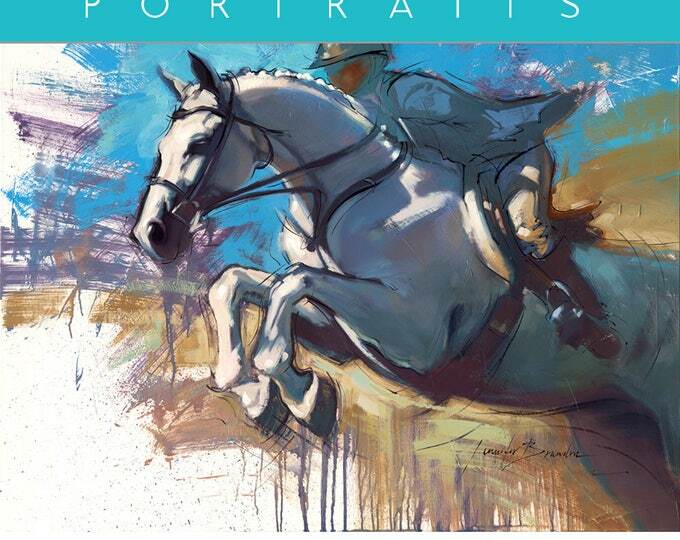 This weekend kicks off the 2013 All American Quarter Horse Congress at the Ohio State Fairgrounds in Columbus, Ohio. 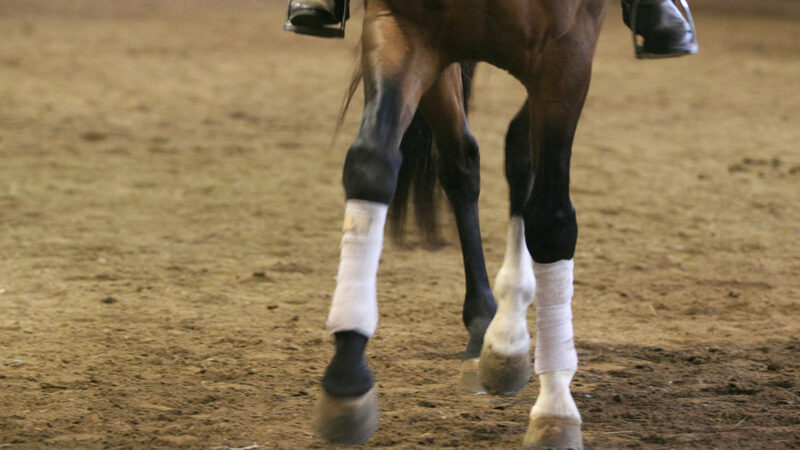 Congress is the World’s Largest Single-Breed Horse Show, receiving more than 17,000 horse show entries during its three-week schedule and attracting more than 650,000 people to the Columbus area. 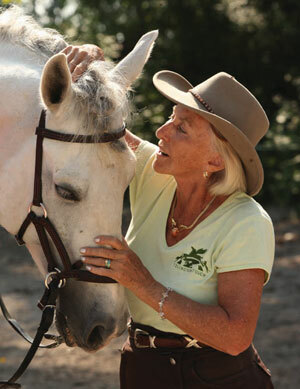 Trafalgar Square Books is pleased to announce that Susan Tinder, author of the JUMP COURSE DESIGN MANUAL and owner of the premiere equestrian facility Tolland Falls in Colorado, is giving a class on designing practice courses on Saturday, October 12 at 2:00 p.m. in the Lecture Hall. 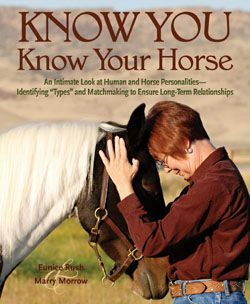 Immediately following her presentation, you’ll have a chance to meet Susan, ask her questions, and buy her book, which has garnered rave reviews from esteemed publications such as The Chronicle of the Horse and Practical Horseman and top horsemen such as former US Show Jumping Team Chef d’Equipe George Morris and USEF “R” Judge Geoff Teall. 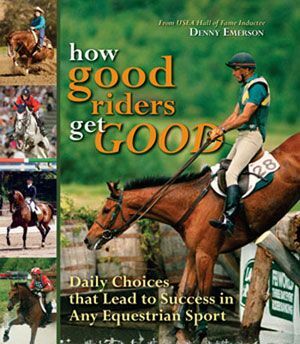 The author meet-and-greet and book signing will take place at the Blue Ribbon Books booth in the Main Exhibit Hall around 3:00 p.m.
TSB: Your new book JUMP COURSE DESIGN MANUAL has garnered rave reviews from publications such as Practical Horseman and The Chronicle of the Horse, as well as top professionals like Geoff Teall and even George Morris. What inspired you to write the book? Can you tell us a little about how it came to be? ST: The book came about out of necessity, really. I was paying for a trainer’s time, and we spent most of it moving jumps around and setting up gymnastic exercises before I could begin my lesson. So, I decided to be proactive and set exercises up ahead of time. Moving jump components around is hard physical work and especially hard when I had to move components multiple times because I was making up the course on the fly! It didn’t take long before I realized that I needed help gathering, moving, and adjusting the fences. That’s when I knew I had to come up with a better way to communicate how I wanted the course to be set. 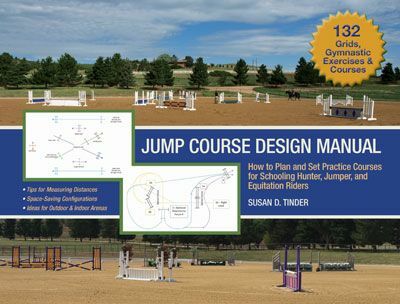 I started researching course design and found that a book on the topic just didn’t exist, or it existed but it was for designing Grand Prix jumping courses (way out of my league!) 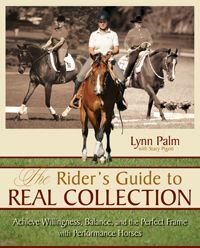 Most books on jumping have parts that address course design issues and gymnastics, but I couldn’t find anything comprehensive or appropriate for my level of riding skill. At first my design education was “trial and error” with professional oversight from my trainer, and I saved all the diagrams that I created in Powerpoint. 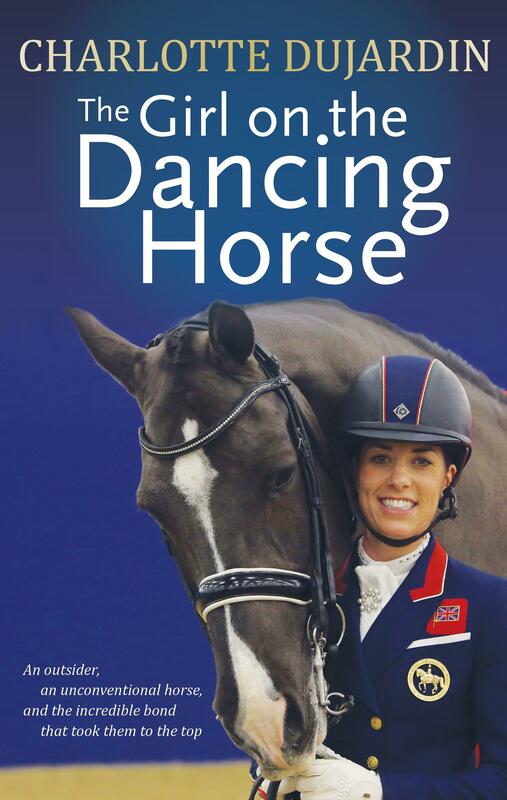 The book started as a compilation of the course designs and gymnastics that I have set up for myself over the years. 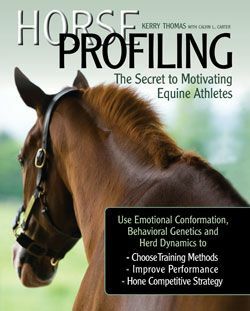 I have used most of the courses, and all the gymnastics, from the book in my own program, so I know they can be ridden by just about anybody. I also found that designing and setting courses by myself was a great learning tool because I had to create the “questions” for the “test” of jumping the course. I was able to practice answering the questions and really work on the ones I was having a problem with through the use of the courses I designed. 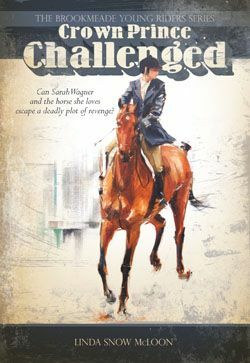 I didn’t really start out with the intention of writing a book, but it kept getting longer and longer and I was encouraged by Eliza McGraw to forward the rough manuscript on to you (Trafalgar Square Books) to see if you had an interest in publishing it. And the rest, as they say, is history. TSB: What was it like to hear that George Morris thought your book was “very correct” and that you did “an excellent job”? 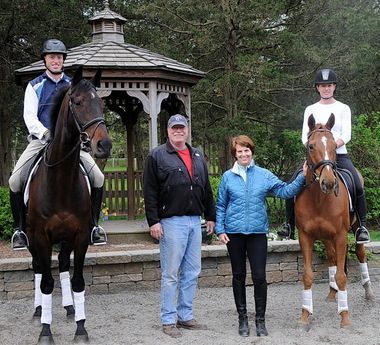 Have you ever met George or ridden with him? 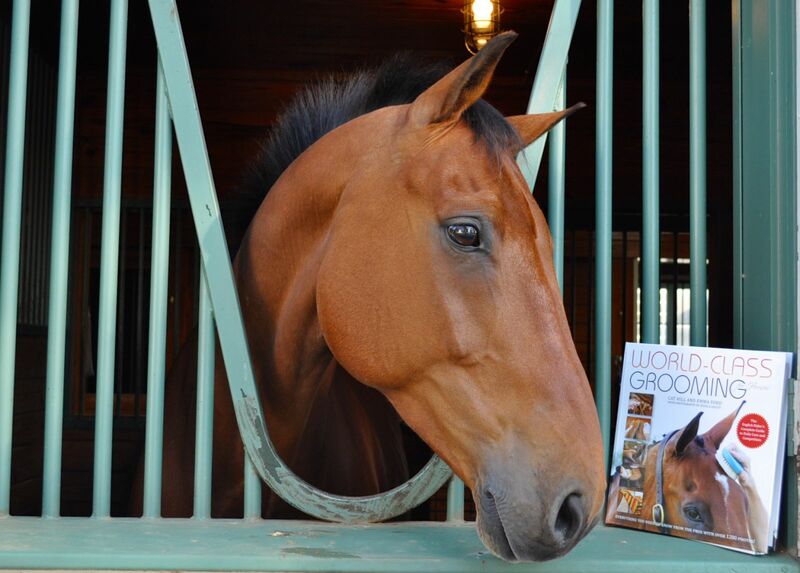 ST: When you told me that you had sent an advanced copy of the book to George Morris, I felt sick, actually! 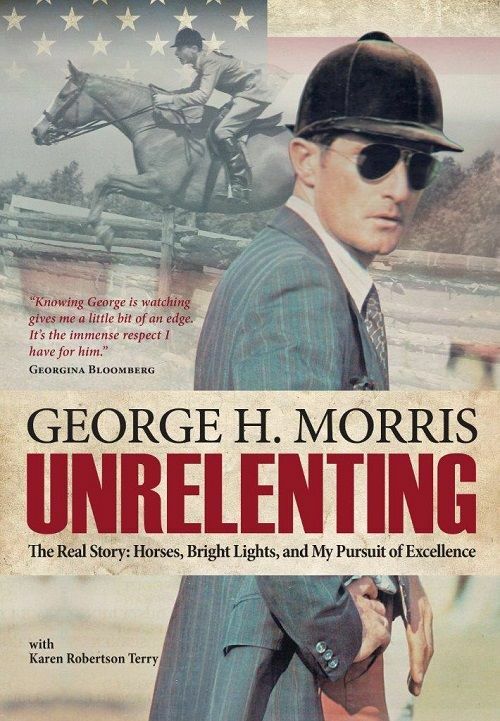 But then, I figured that George Morris would never read something from a “nobody” like me or, at the very least, he would think it was just awful and not waste his time to say anything about it at all. Yes, I have met Mr. Morris. 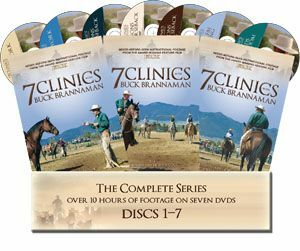 I have ridden in his clinics. 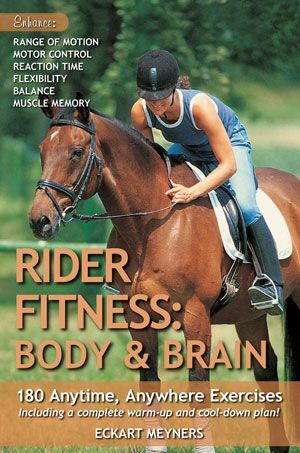 I even fell off in one of his clinics and the photographer published the picture of it in a magazine! I have learned so much from his books, his articles, his videos, and his professional advice. I believe that he has contributed more to our sport than any other individual ever has. 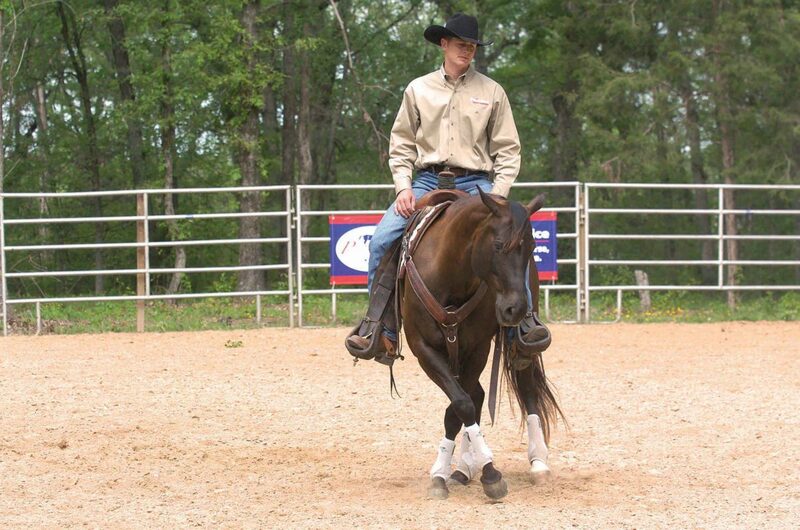 He can ride, he can teach, he can demonstrate, he can speak, and he can write. 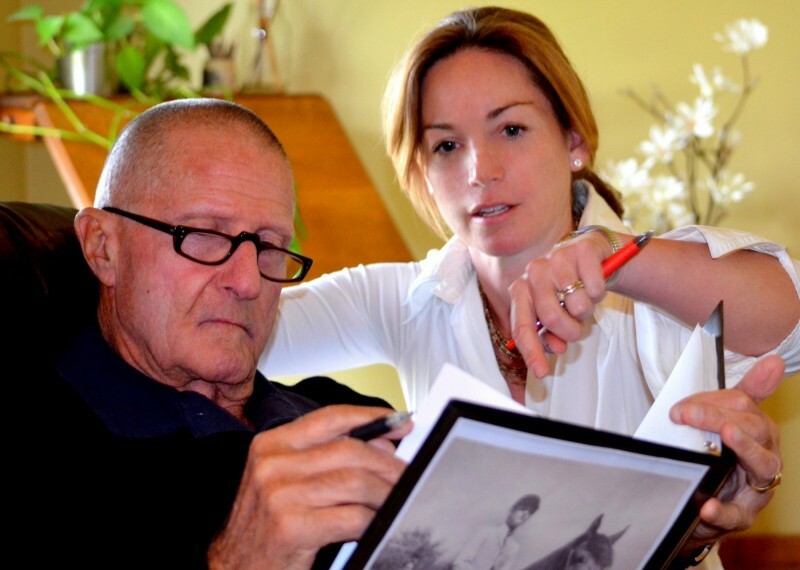 He will leave a great legacy to all of us involved with these wonderful creatures we call horses. I wrote Mr. Morris a thank you note after he made his gracious comments about my book. I felt it was also an opportunity to tell him how positively he had impacted my riding career and to thank him for all he does for the sport. About a week later, I got a postcard from him, in his own handwriting, saying that “yes, he enjoyed reading my book and he thought that it would be good contribution to a lot of people.” I just stood at the mailbox in disbelief! I was so flattered—his personal note means so much to me—and who in this day and age has the kind of class to actually make the time to hand-write and address a note? 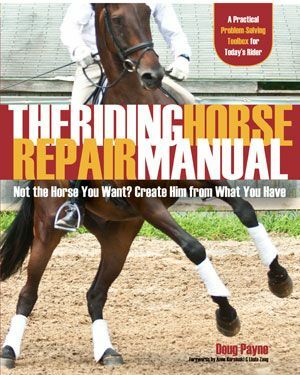 I read it to all of my friends and clients at the barn. I plan to frame it and hang it in my office! 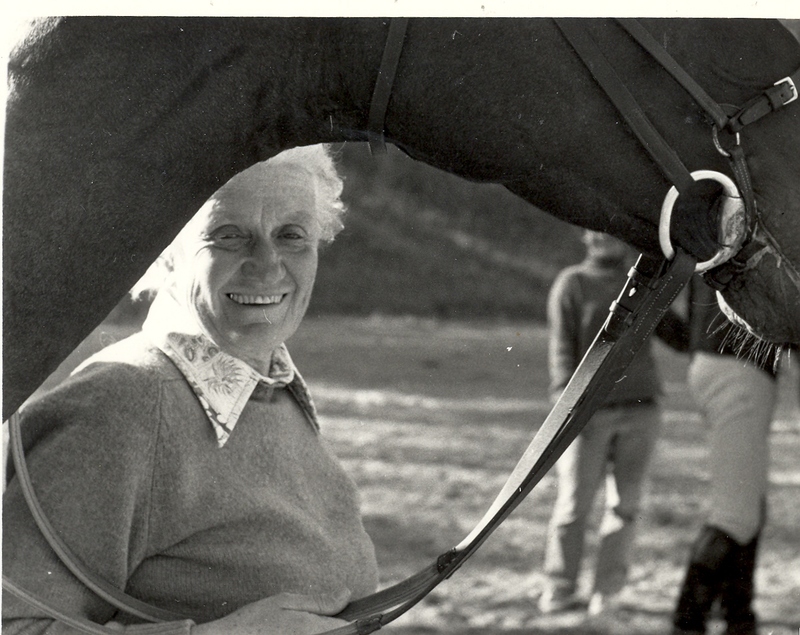 TSB author Susan Tinder on her Quarter Horse mare, Lady Biddersweet, back in the day! TSB: You are presenting at the 2013 All American Quarter Horse Congress at the Ohio State Fairgrounds in Columbus, Ohio. 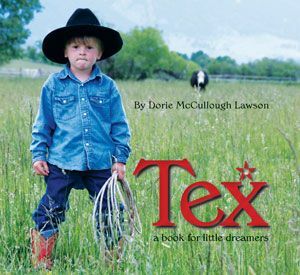 Can you tell us a little about your history with Quarter Horses and why this event is important to you, your discipline, and the Quarter Horse breed? 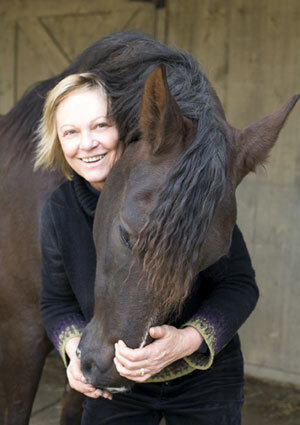 ST: I am originally from Columbus, Ohio, and showed horses throughout the state. 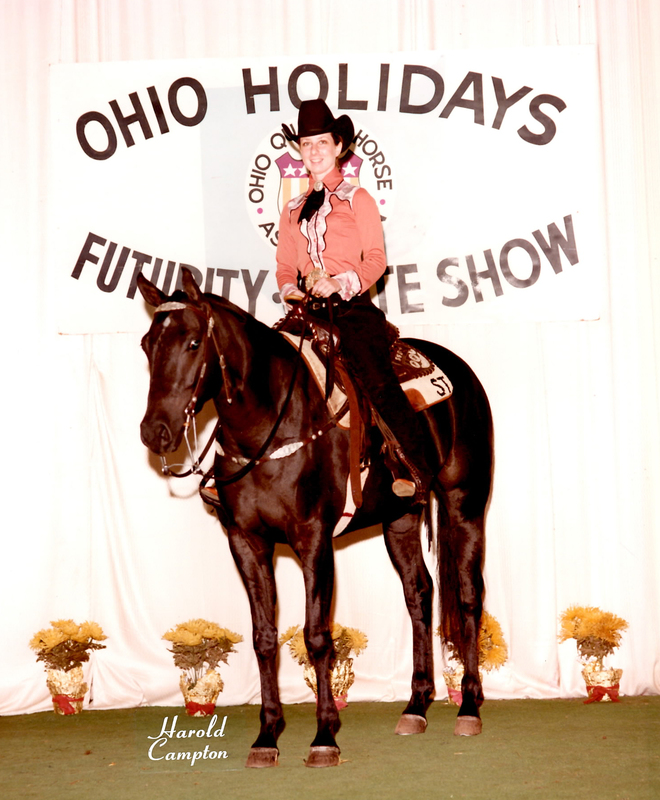 I showed during my late teens and early twenties, and in my last year of showing on the circuit I won numerous national All-Around awards and ended the year as Reserve All-Around Amateur for the State of Ohio. The last show I competed in before “retiring” and selling my mare Lady Biddersweet was at the 1982 All American Quarter Horse Congress. We built the first commercial exhibit booth for the Ohio Amateur Quarter Horse Association in my parent’s garage, and I painted the logo of the foal with the tag line “Young and Growing” for the back wall of the booth. In the booth we displayed all of the old scrapbooks with articles about the association. I also worked in the All American Quarter Horse Congress press box for a couple of years. 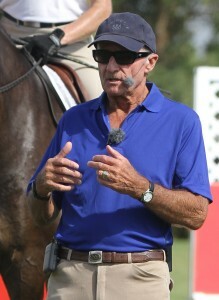 In a way, lecturing at the Quarter Horse Congress is sort of coming back full circle for me. Columbus is home and that is where I started riding and got my first taste of what competition was all about. It is where I learned the basics. But more than that, I see so many things that the Hunter/Jumper industry could learn from our Quarter Horse colleagues, especially how to create incentives for breeding and bringing along and marketing young horses. I also think that the philosophy of Youth Activity classes and judging teams could be a model for equestrian education across all disciplines. And finally, this lecture is going to be special because I am lecturing on Saturday, October 12th. This was my dad’s birthday and I know he would have been very proud. I will also be able to share this with my 92-year-old mother who is planning on being in attendance to hear me speak. TSB: What will you be presenting at Congress and what can people hope to learn from your talk and apply in their own arenas, at home or at their boarding/training facility? ST: My 45-minute lecture is going to cover the material that TSB made me delete from the book because the manuscript was too long! It will address some of the common questions that I have been asked by people who have read the book and walk though the basics of what to plan for in designing a schooling course. I will then use one course setup to also create gymnastics and practice exercises. The presentation will demonstrate how you only need about three or four jumps to accomplish your training goals. Following the Congress Presentation, the content of the class will be available on the Tolland Falls’ website at www.tollandfalls.com. In addition, a book signing will immediately follow the presentation at the Blue Ribbon Books booth in the Commercial Exhibit Hall. ST: I don’t think the breed of horse would matter. But I would want one that was calm, friendly, and an easy keeper! 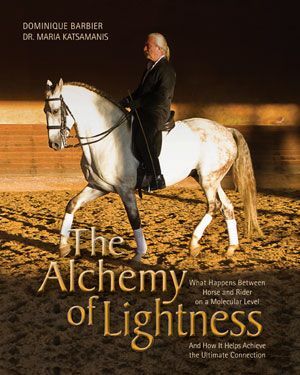 If I could choose one of my horses to be with me, I would probably choose my horse Rueben (a Westphalen). Rueben would stand beside me with his chin resting on my shoulder, drooling down my neck (he does this all of the time) and listen to me read A Song of Ice and Fire by George R.R. Martin. 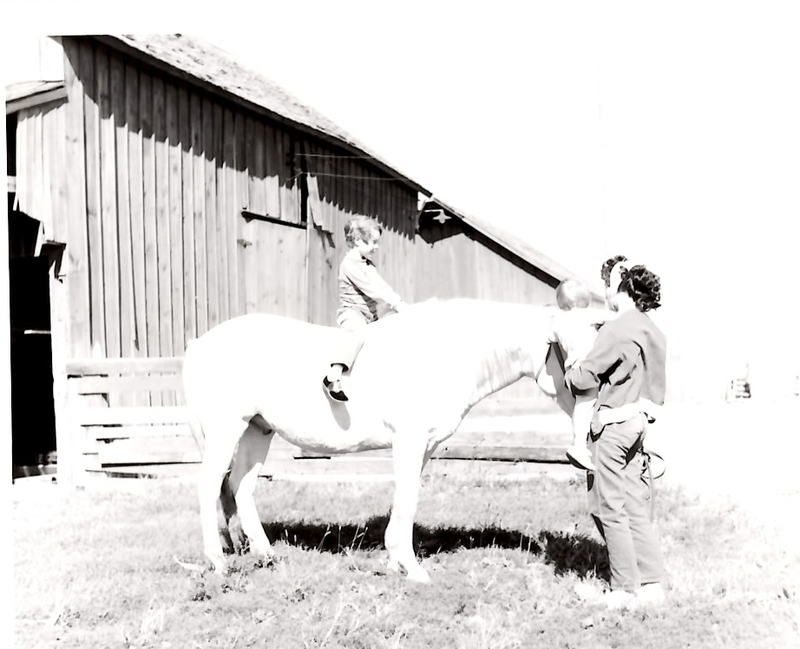 A three-year-old Susan on the first “horse” she remembers riding–she remembers him being a lot bigger! 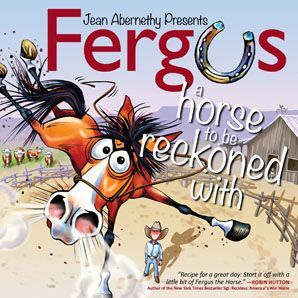 ST: I think I must have been around three years old and it was an old white farm horse. I was told I cried when I couldn’t take him home. ST: I gotta tell you, I have fallen off so many times that a better question would be if I remember the last time I fell off a horse?!!? ST: Acceptance, forgiveness, and honesty. ST: I think any day you can do something from the back of a horse, it’s a good day. I just hope I get to have many more of those days. ST: Aim for the moon, because even if you miss, you will still land in the stars. JUMP COURSE DESIGN MANUAL is available from the TSB online bookstore.